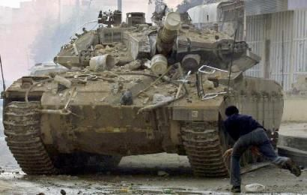 UNITED KINGDOM: COMPONENTS FOR TANKS, HELICOPTERS AND FIGHTER JETS | Who is arming Palestine's occupation? Who is arming Palestine’s occupation? A campaign exposing global military connections with Israel. While Foreign Secretary David Miliband called for an “immediate ceasefire” in Gaza and PM Gordon Brown stressed the need to “stop the supply of arms” to Hamas, the Foreign Office has been licensing increasing arms sales to Israel.. 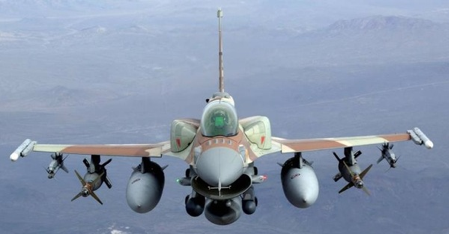 These include just the kind of kit the Israeli air force needs for its bombardment of the Palestinian components for combat aircraft and military aero engines, as well as parts for Israeli pilots “helmet-mounted display equipment”. According to the latest Foreign office figures, Britain exported £18, 847.795 worth of weapons to Israel in the first three months of 2008. This was a sharp increase compared to the £7.5m of weapons sales to Israel in the whole of 2007 . Despite the fact that Israel has flouted more UN resolutions, and for a longer period, than any other country, western governments, including the UK government, continue to supply Israel with weapons and military components. In doing so the UK is providing direct material support for Israel’s aggression and sending an implicit message of approval for its actions . In the last three years the UK has licensed items including small arms ammunition, anti-aircraft guns, unmanned air vehicles, armoured all-wheel drive vehicles, and components for tanks, combat aircraft and various kinds of missile. UK based BAE Systems, Smiths Group and Liverpool-based MPE, for instance, all make subsystems or components for the F-16 fighter jet, of which Israel has 236, and which have been deployed against civilian populations in Lebanon and Gaza. BAE in particular has received criticism from various human rights and anti-arms trade organizations due to the human rights records of governments to which it has sold F-16 fighter jet subsystem equipment . Airtechnology Group in Middlesex makes parts for the Merkava tank, which are used in raids on Palestinian villages, and at least nine UK companies make components for the AH-64 ‘Apache’ attack helicopter, often offensively deployed in highly populated areas. Hermes 450 UAVs (armed unmanned aerial vehicles) were used extensively in the Israeli attack on Lebanon in July 2006, providing targeting for fighter aircraft strikes and possibly involved in direct attack. Engines for these vehicles are produced by UAV Engines Ltd, near Birmingham . In September 2003 The Sunday Times reported that the BAE had hired a private security contractor to collate information about individuals working at the Campaign Against Arms Trade and their activities . In February 2007, it again obtained private confidential information from CAAT . This entry was posted on Saturday, January 10th, 2009 at 10:35 am and is filed under Arms Info, United Kingdom. You can follow any responses to this entry through the RSS 2.0 feed. You can leave a response, or trackback from your own site. “Disarm Zionism” is an activist campaign based in Beirut, Lebanon. It collects, organizes and disseminates information on all kinds of military deals and trades of (mainly) Western states with Israel. The policies of the Israeli state in Palestine and in the region would not be possible without the active support of Western states to Israel’s military. Through this support these governments are complicit in the war crimes committed in occupied Palestine.